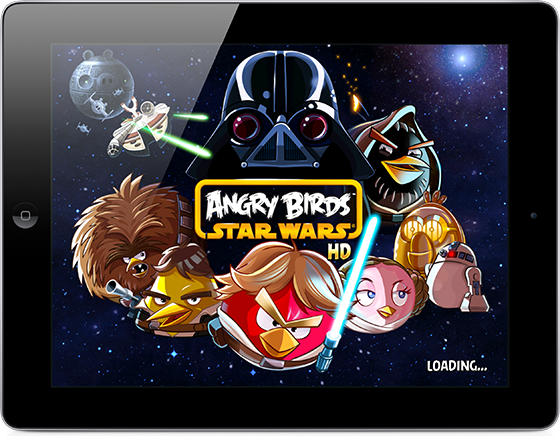 The latest game from Rovio, Angry Birds Star Wars, has proven to be a real hit with iOS gamers, as the new release reached the top of the App Store charts in less than three hours, setting a new record in the process. Rovio’s Angry Birds is undoubtedly one of the big success stories of Apple’s App Store. Originally known for its Angry Birds game for the iPhone, Rovio has gone on to release variations on the theme across a variety of platforms including the Xbox 360 and PlayStation 3. If you ever wanted to see an example of how a mobile game can really take off, finding its way onto home consoles and the PC alike, the Rovio’s Angry Birds is a shining example of what can be achieved. Nowadays, you can’t walk more than a hundred paces without being bombarded by some form of Angry Birds merchandise. Be it an iPhone case, or a cuddly toy, Angry Birds really is everywhere. 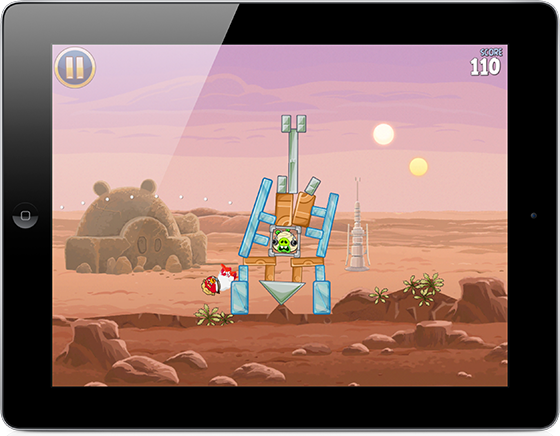 With that in mind, it should not really come as a surprise to learn that when you cross Angry Birds with Star Wars, the resulting game is rather popular. So popular in fact that the iOS version reached the top of the App Store charts in just 2 hours, 30 minutes. The previous king was another Rovio game, Bad Piggies, which took three hours to manage the same feat. So yes, Rovio’s own game broke its own record. The Star Wars tie-in sees all your favorite Star Wars characters become embroiled in the Angry Birds world that we all know and love. Fans of all the other Rovio games as well as well as the Star Wars universe will be pleased to learn that the game is proving to be the hit we all expected it to be. Rovio, we suspect, will be even happier. Priced at $0.99, hitting the top of the App Store charts will be worth a pretty penny for those behind the game. So what next from Rovio? Angry Birds Indiana Jones? Lego? Batman? The possibilities are endless, but we’re secretly holding out hope for a James Bond game, complete with Oddjob and his hat throwing abilities.